Xiaomi is making big waves worldwide with the announcement of their latest phone, the Xiaomi Phone 2 (yup, totally original and creative name, we agree). The phone’s hardware ticks off all the right geeky boxes that would make every Android squeal in unison. Not convinced that an unknown entity could achieve such a feat? Perhaps this will help change your minds. 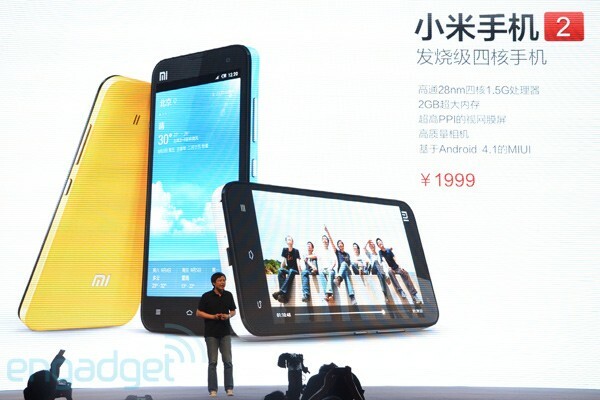 Quad-core Krait (remember, the dual-core version easily matched the quad core Tegra 3), 2GB RAM and an HD IPS screen. It also comes with Android 4.1 right out of the box. Oh, and it only costs $310. Now close your jaws and head on over to the source link below for more photos. Let’s Help Fund for a Nikola Tesla Museum!